As we celebrate this important milestone, our mission is to secure the theatre for the next generation, starting with a campaign to raise £125,000 to repair the storm damage to the dome at the front of the building. Blackpool’s Grand Theatre Celebrates its 125th Anniversary. Our aim is to raise £125,000 to replace the theatre’s iconic copper dome and make further refurbishments. 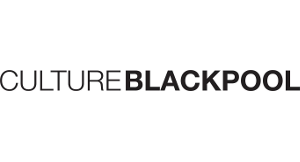 During a recent survey of audience members who had attended Blackpool’s Grand Theatre, over 68% were surprised to hear that the venue was a charitable, not-for-profit organisation. We’ve made it easy for you to support us and make a donation to Blackpool Grand Theatre. The Grand is more than just a beautiful, Grade II Star listed building. It’s an active charity with social, educational and artistic aims. In addition, it runs a full programme of workshops for children and young people, in and out of school, focused on improving literacy, numeracy, social skills and confidence. Last year, 10,000 school children benefited from discounted tickets to see performances at the theatre. A further 3,000 young people performed on the stage as part of Au Revoir Review and Schools Alive. And 30 local schools are part of our literacy project in partnership with the Royal Shakespeare Company. Through the charity campaign The Grand aims to give every local child access to its work. To do this the theatre must raise funds to help grow its participation programme of events that allow children to grow and develop. These programmes are not for the privileged few but for all. We aim to cover costs and, where possible, the theatre offers as many free places as it can. Learn more about our Creative Learning projects here. Enter our year long raffle drawn on 18 December for the chance to win one of the great prizes £1,000, £2,000 or a whopping £5,000. Ticket are £2 each and can be purchased online here or when visiting the Theatre. Our Rose Gold coloured Limited Edition badge will be available from the Box Office, From our Front Of House Volunteers and online here. We have limited availability on our 125 Club – 125 members can join, pay just £12.50 per month for the chance to be one of three winners drawn monthly to win £125. Join the 125 Club by calling 01253 290190 or popping in to our Box Office located on Church Street. Payments taken 1st of the Month, Winner selected on last working day of the month (The First Draw takes place 29 March. First payment taken on sign up, second payment on 1 April 2019). AmazonSmile is a simple and automatic way for you to support a charity of your choice every time you shop, at no cost to you. When you shop at smile.amazon.co.uk, you’ll find the exact same low prices, vast selection and convenient shopping experience as amazon.co.uk, with the added bonus that Amazon will donate a portion of the purchase price to your selected charity. Simply go to smile.amazon.co.uk from the web browser on your computer or mobile device. You may also want to add a bookmark to smile.amazon.co.uk to make it even easier to return and start your shopping at AmazonSmile. Amazon will donate 0.5% of the net purchase price (excluding VAT, returns and shipping fees) from your eligible AmazonSmile purchases.